Iron and Baby, How Much Iron Does Baby Need? Iron in Food for Baby, Does Your Baby Need Iron Supplements? 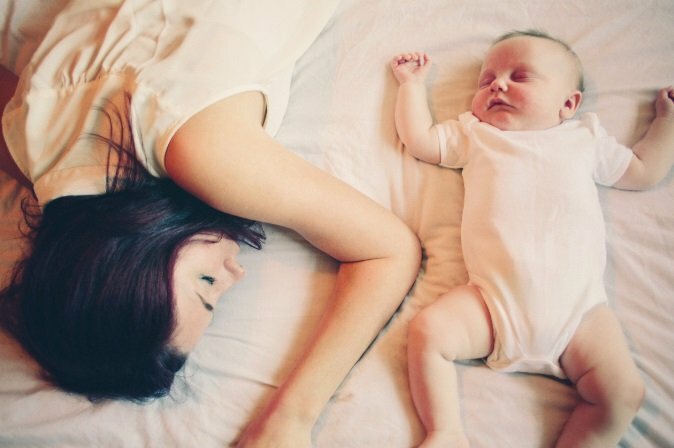 Iron and Your Baby – Could your baby be at risk for Iron deficient anemia? Babies that were born premature; iron stores build in the last few months of pregnancy. Infants whose mothers were of poor nutritional status during pregnancy or who have diabetes. So how long do a baby’s Iron stores last? What about the Breast-Fed Baby? Our bodies need iron to make hemoglobins, the protein which carries oxygen through our blood. For both formula fed and breastfed healthy full-term infants, iron stores are well maintained up until 6 months when the iron stores may then begin to deplete. Keep in mind that while the iron baby has stored may begin to dwindle, it does not suddenly disappear! Babies who are healthy and full-term that are formula fed are seldom at risk for iron deficiencies due to the high amount of iron in iron-fortified formulas. Healthy and full-term Infants who are exclusively breastfed are also seldom at risk for iron deficient anemia especially if the baby does not begin solid foods earlier than 6 months old. Introducing solids too early to baby may actually hinder the iron levels in the baby; most often this is related to breastfed babies. If a baby is exclusively breastfed, then baby is getting all the iron needed up to about the 6 month mark. The American Academy of Pediatrics (AAP) Breastfeeding Section recommends that infants be exclusively breast fed for the first six months of life. How Much Iron is in the Food I Feed my Baby? What is the Recommended Daily Intake of Iron for Baby? The RDA for iron was revised in 2001 and is based on the prevention of iron deficiency and maintenance of adequate iron stores in individuals eating a mixed diet (11). Did you know Breast Milk contains Vitamin C? It certainly does. As your infant grows, you can increase the absorption of iron (non-heme) from “plant” foods as well as the (heme) iron from “protein/meat” foods when a food containing vitamin C is eaten at the same meal or snack. Serving cereals with a fruit that contains Vitamin C would aid in the absorption of the iron contained in the cereal product. Eating foods that are high in Vitamin C will help the body absorb non-heme iron that is present in most foods served in a meal. The majority of iron that most people receive is non-heme iron; this type of iron has less bioavailability and is absorbed in smaller quantities by the body. Get that Vitamin C working to help fully utilize Iron. Most pediatricians in the US will recommend that you serve a fruit and a veggie together with a cereal for a meal. As baby gets older, serving a fruit, protein (such as chicken), vegetable and yogurt is a perfectly balanced meal. Fortified Apple (or other fruit) Juices with Vitamin C.
“Iron deficiency is rarely seen in breastfed babies during the first six months of life. Iron is present in your milk. Although human milk does not contain large amounts of iron, it is very well absorbed. Approximately 50 percent of the iron in mother’s milk is absorbed, compared to only a 7 percent absorption from formula, and a 4 percent absorption from infant cereals (Dallman 1986). Since a full-term baby’s iron stores begin to diminish around six months of age, solid foods can help to meet your baby’s increased need for iron and protein at that time.” Debbi Donovan – Director of ParentsPlace.com and also a Board Certified Lactation Consultant. * Values are given for commonly marketed infant formulas. + Iron-fortified formula contains >=1.0 mg iron/100 kcal formula (8). Most iron-fortified formulas contain approximately 680 kcal/L, which is equivalent to >=6.8 mg iron/L. One nonrandomized study with a small cohort suggested that exclusive breast feeding for greater than 7 months is protective against iron deficiency compared with breast feeding plus the introduction of non-iron-fortified foods at age less than or equal to 7 months infants weaned to iron-fortified foods were not included in this study. Pisacane A, De Vizia B, Valiente A, et al. Iron status in breast-fed infants. J Pediatr 1995; 127(3):429-31. “Iron in human breast milk is well absorbed by infants. It is estimated that infants can use greater than 50% of the iron in breast milk as compared to less than 12% of the iron in infant formula . The amount of iron in cow’s milk is low, and infants poorly absorb it. Feeding cow’s milk to infants also may result in gastrointestinal bleeding. For these reasons, cow’s milk should not be fed to infants until they are at least 1 year old . Vitamin C aids in the absorption of Iron so try to include fruits and vegetables whenever possible.